First time and experienced horse riders welcome. First-time and experienced riders are welcome. Spring Run Farm is family owned and operated by Susan Harris. She works hard to provide an atmosphere where riders and horses are safe, have fun, and learn. With a friendly and experienced staff, Spring Run creates an environment where once you come, you stay. Our instructors, students, and boarders know each other well. We are a small, family oriented barn and take pride in it. Our Riding Program attracts both first time riders and those who are very experienced. It is not important what level you are, but it is important that you want to learn. We will create a riding program based on your interests, whether it is being able to stay balanced at the trot on one of our school horses or successfully competing your horse at the many shows we attend. 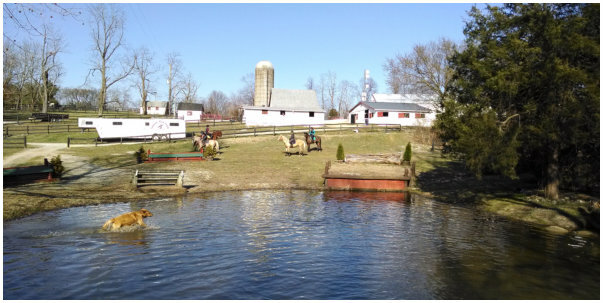 Boarding your horse at Spring Run Farm provides a safe and comfortable environment for your horse and peace of mind for you. Our barn is professionaly run by our barn manager, Susan Rockhold, who makes sure that all of our horses are happy and healthy. What makes us different from many barns is our attention to detail and our extra effort to keep your horse happy. Our barn is professionally run by our barn manager, Susan Rockhold, who makes sure that all of our horses are happy and healthy. What makes us different from many barns is our attention to detail and our extra effort to keep your horse happy. For Spring Run Times and Scores on your iPad or iPhone, click on the START BOX icon.